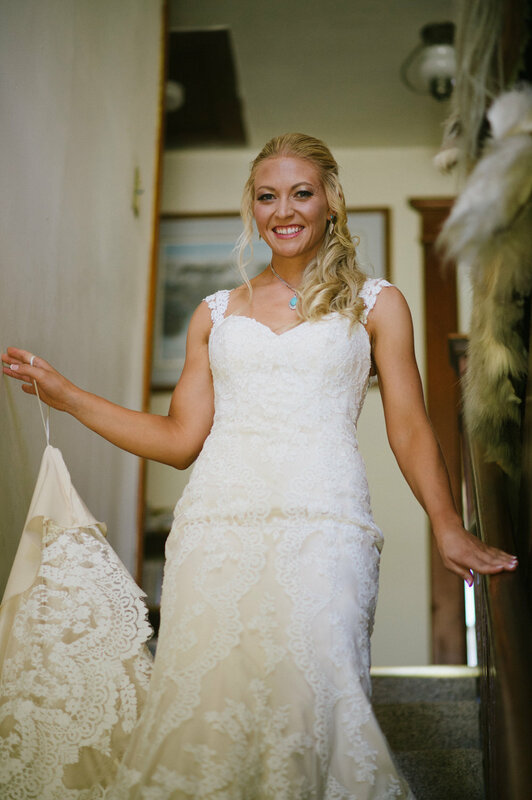 This Hot Sulfur Springs wedding was everything I could've asked for! 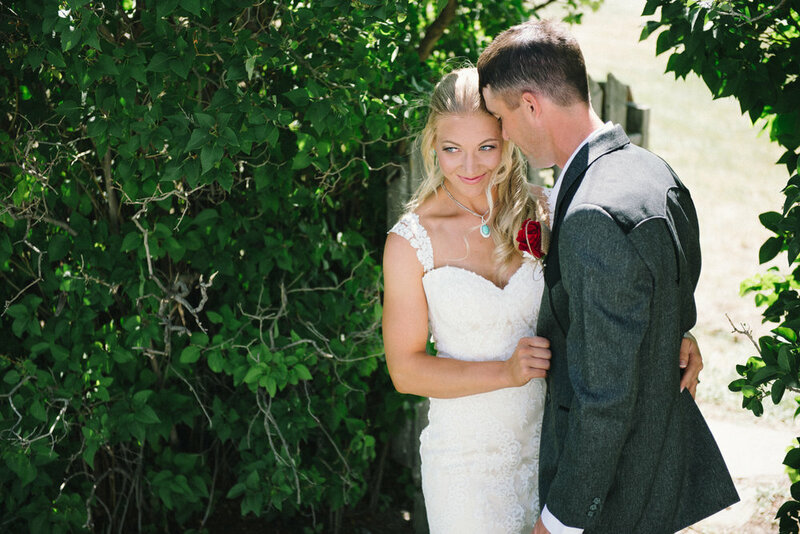 It was a barn wedding, a rustic Montana wedding, AND a sweet vintage wedding. 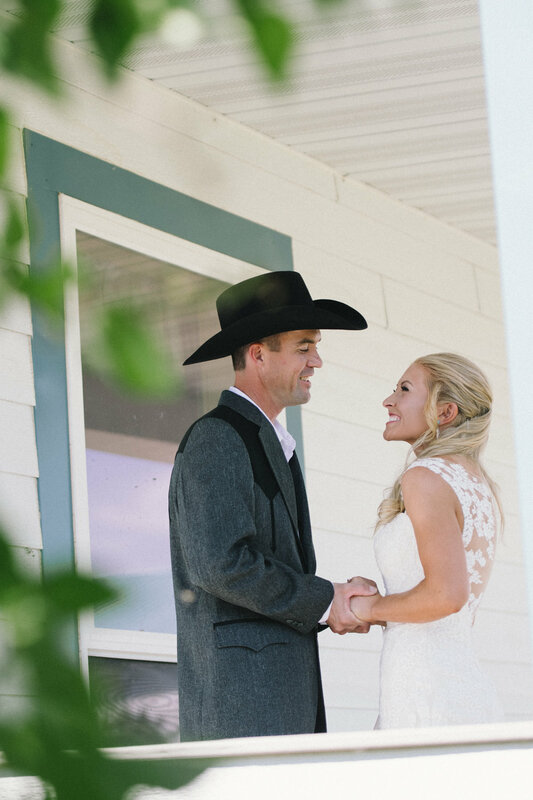 The first time a groom sees his bride for the first time is a priceless moment... Jeff clearly liked what he saw when Erica stepped out onto the porch. Erica's grandmother put on her dress for her in Erica's old childhood bedroom. It really was the sweetest thing and grandma was so happy! I'll always remember Erica's walk to see her groom for the first time. She was eminating excitement! It was contagious! Erica + Jeff knew how to make each other laugh. As soon as they got close and their eyes met, a smile automatically followed. Something I like to do with my bridesmaids is tell them to give their bride "a little love." It gives the girls an excuse to get all up in their best friend's business and the bride gets to gushing! Erica and Jeff hit the brewery with their wedding party and it was amazing! This crew was up for anything! You two had the most wonderful rustic wedding I could've imagined! I loved every heartfelt minute of your day and I was SO privileged to capture the best day of your life.